Welcome to a new, bright and breezy monthly feature in which Permanent Plastic Helmet picks out some of the film-related treats it’s most looking forward to in the next month. May is Cannes Film Festival month. Still the most prestigious international film festival going (May 16-27), this year’s ‘In Competition’ line-up features a pretty dazzling (though, sadly, almost exclusively male) array of talent. New films from the likes of David Cronenberg (Cosmopolis – pictured), Jacques Audiard (Rust and Bone), Michael Haneke (Amour) and Andrew Dominik (Killing Them Softly) will duke it out for the top prize: the Palme d’Or. You can take a look at the official selection (including Un Certain Regard) here, and full line-ups for the Directors’ Fortnight and Critics’ Week here. There was no place in the programme for Paul Thomas Anderson’s new film The Master (purportedly about Scientology – but who knows? ), which makes us wonder if the 56th BFI London Film Festival in October might end up with a pretty mighty premiere on its hands. We can but dream. Sadly, PPH won’t have a presence at Cannes this year, but looks forward nonetheless to hearing all the news and reactions from the Croisette. At least one of our blogging pals will be there, so expect to be pointed in the direction of that site for feedback during the festival. 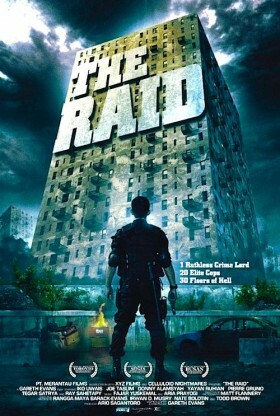 In terms of May’s new cinema releases, we’re hugely excited about Gareth Evans’ The Raid (May 18) – a hyper-violent, Indonesian-set thriller that’s said to draw upon the likes of John Woo’s Hard Boiled for influence. Julie Delpy’s 2 Days In New York (May 18) – the sequel to her earlier 2 Days In Paris – is one that we’d really been anticipating, though are sad to report that it fails to catch fire in the way we’d hoped. That said, it’s definitely worth seeing for Chris Rock’s straight-man performance as Mingus, Delpy’s jazz-and-Obama obsessed boyfriend. Professional provocateur Sacha Baron Cohen also returns this month with The Dictator (May 16) which, in truth, could go either way.The press campaign leading up to its release has been a touch on the heavy handed side (official statements from his new character, Middle Eatern dictator General Aladeen, no less! ), but when Baron Cohen is at his excoriating best, he’s really, really good. So fingers remain crossed. 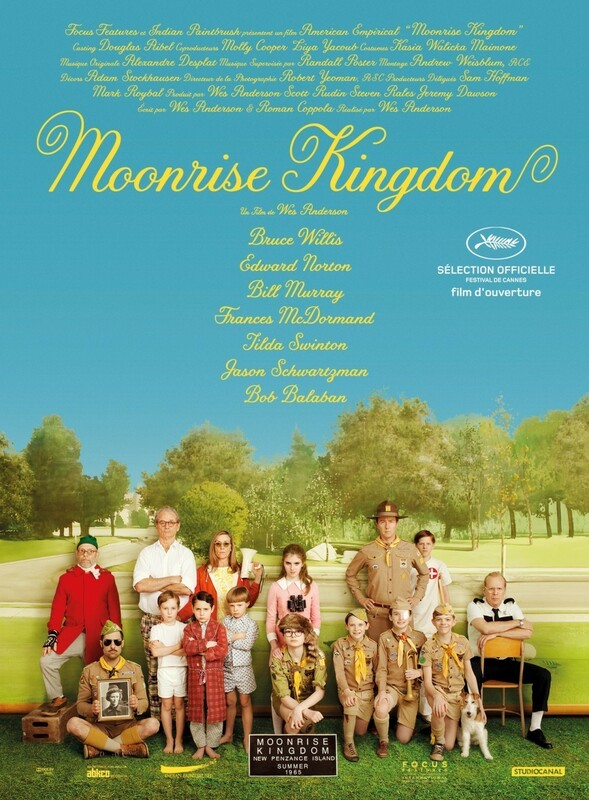 Oh, there is a new Wes Anderson film coming out too (Moonrise Kingdom, May 25), but the oh-so-mannered, almost self-parodic poster alone provoked a near-vomitous reaction in this writer, who will try his darndest to keep an open mind when it hits screens. 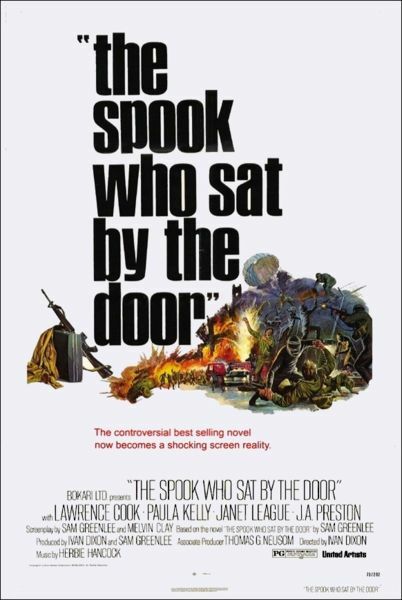 Amongst an ever-eclectic BFI Southbank programme, this month’s African Odysseys screening (May 26) of Ivan Dixon’s super-rare cult film The Spook Who Sat By The Door really stands out. In The Spook…, a black CIA operative returns to Chicago and prepares his brothers for revolution, a conceit which operates both as biting satire and razor-edged provocation in response to the urgency of its socio-politically unstable times. Boasting a highly charged score from Herbie Hancock, it looks pretty much unmissable. The screening will be accompanied by a 2011 documentary, Infiltrating Hollywood – The Rise and Fall of The Spook Who Sat by the Door, which investigates the film’s troubled, fascinating history. Other BFI highlights this month include a career overview of one of the renowned stars of French cinema, Jean Gabin: Working Class Hero to Godfather, an extended run of Powell and Pressburger’s much-lauded satire of the English character The Life and Death of Colonel Blimp restored to its full Technicolor glory, part two of the complete Vincente Minnelli retrospective, and the 11th London Sci-Fi Film Festival. Following its launch with Brief Encounter at the Troxy in February, The Other Cinema returns with a screening of Mathieu Kassovitz’ bracing, brutal and timeless 1995 French film La Haine. The screening (May 4) will feature a live score by the Asian Dub Foundation, and include appearances by local artists. As part of The Other Cinema networks, screenings will also take place at Broadwater Farm Community Centre in Tottenham (May 2) and launch in Paris (May 5). All of the profits from the Troxy screening will pour into the production of the free premiere screening at Broadwater Farm. Onto home entertainment, news has broken of the first ever DVD release of a groundbreaking 1986 hip-hop documentary entitled Big Fun In The Big Town(May 21).Directed by the fantastically monikered Dutch filmmaker, journalist and rap fanatic Bram Van Splunteren*, the doc is said to show hip-hop from pretty much every angle, and approach its subjects with a genuine journalistic respect. Highlights include rare live performances, and interviews with a number of key players from the scene’s early days including Russell Simmons, Run-DMC, LL Cool J (interviewed at his grandmother’s house in Queens! ), Grandmaster Flash and Biz Markie. Continuing on a DVD theme, the ever-covetable Criterion collection continues to put out some astonishing stuff, highlights of which include extras-packed, digitally optimized releases of the aforementioned La Haine(May 8), and the welcome return of Spike Jonze and Charlie Kaufman’s Being John Malkovich(May 15). Best to have a quiet word with your bank account now to let it know that you’ll be treating it with reckless abandon in the coming weeks. Finally, kicking off toward the end of the month is the sixth annual Happy Soul Festival (May 25-June 10), a multi-borough, London-set event which aims to entertain, inform and to engage with black and minority ethnic groups and the wider community to help de-stigmatise mental health issues and promote awareness of wellbeing. Though the festival is multidisciplinary in nature, the programme will feature film strongly, and looks like a really interesting, worthwhile event. To find out more, visit the Happy Soul Festival’s website. *his name reminded me of this near-forgotten rap-rock gem (yes, they exist!) from 1996. This entry was posted in Features and tagged Cannes, dvd, looking forward, May 2012, ROUND-UP, The Month Ahead, the spook who sat by the door on May 1, 2012 by Ashley Clark.